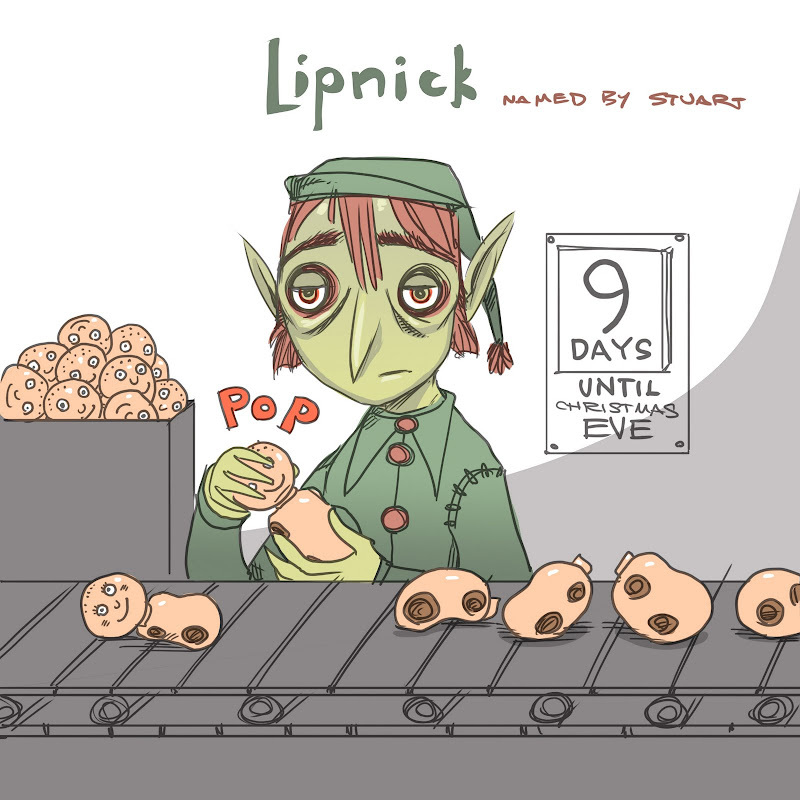 This poor elf has been overworked at the doll factory. Yesterday's winning name was Crenshaw by Tanei Atagi. Santa laughed and said, "Oh She's totally a CRENSHAW! Ho ho ho." I'm going to keep the elfs coming (I know it's supposed to be "elves" but "elfs" is so much better. Also, I don't put an "an" in front of elf. No, I say it, "A elf." Plural, "Elfs.") Anyway, gonna keep the elfs coming through the weekend, since I missed the past two days and there is only so much time before Christmas. We've got to name these elfs while we can! Sarah: I vote for "Lipnik"
P.S. I agree with Q-they're both overworked!